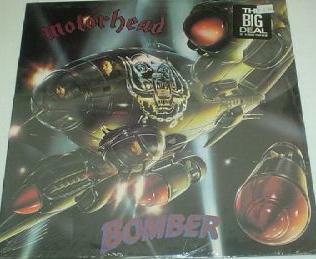 The Bomber album was released on the 30th of October in 1979 in the UK (cat no BRON 523). 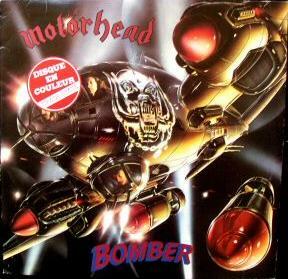 The cover featured an artwork with a Bomber bordered by Lemmy, Phil and Eddie. The artist was not Joe Petagno. 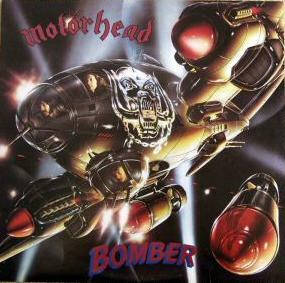 The layout of the back cover was quite similar to the Overkill back cover but instead of live pictures the pictures represented the three band members off stage. 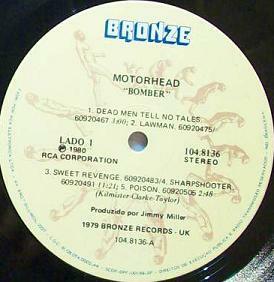 The album was once again produced by Jimmy Miller. 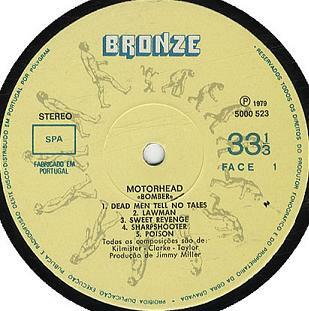 However, in White Line Fever Lemmy says that Jimmy was quite out of it at the time and was often late as well as he suddenly disappeared for several hours. 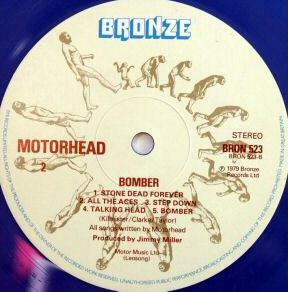 In UK 20 000 copies were pressed on blue vinyl, the rest on black. There are different shades of the blue vinyl pressing. 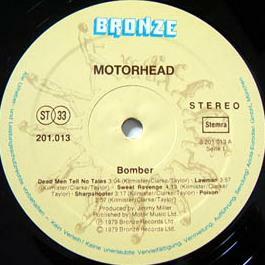 In Europe it was also initially pressed on vinyl in Sweden, Germany, Holland, Italy, France and Portugal. The Portuguese pressing is probably the most unusual. 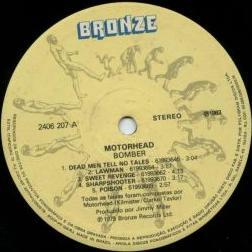 Later it was also released in Greece. 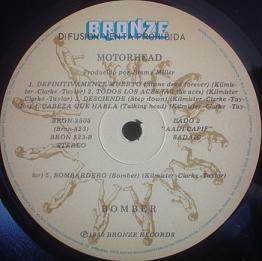 It was also pressed in several different versions in South America. 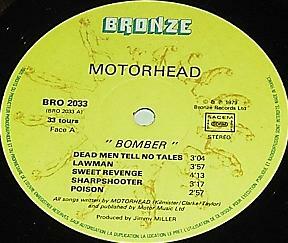 In Canada it was released by Mercury in the beginning of the 80s and in USA it was not pressed on vinyl until the 1988 Profile release. 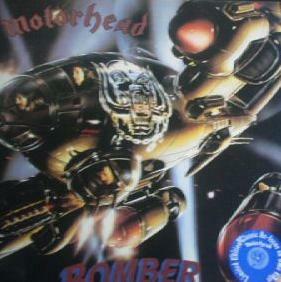 Then there are the usual re-issues by Legacy, Castle Classics, Earmark and Back To Black. 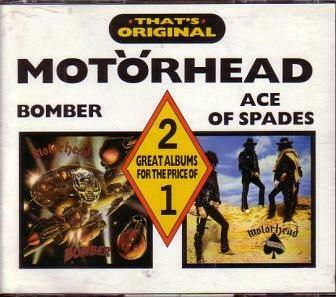 On CD the first release was by Legacy in 1986 which was pressed in the UK. 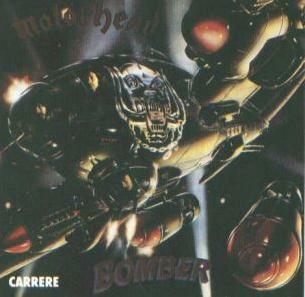 This version also got pressed in France by Carrère. 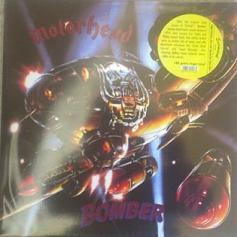 In 1988 Profile made a pressing packaged in a long box. 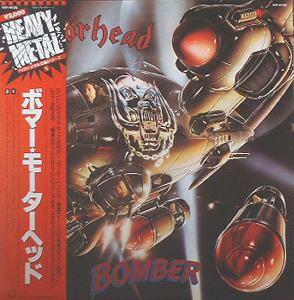 This version also got pressed in Japan by Teichiku, probably in 1989. In 1996 Castle label Essential did the remastered version with bonus tracks and in 2005 the 2 disc expanded version appeared for the first time. Ariola I-201.013 Spa 1982 Some with a different label, some are laminated. Bronze? BRON 2505 Arg ? Ariola 251 013-217 Ger 1989? First German CD issue? Castle CLC 5088 Ger 1992 Re-issue? Universal 93906-7 Jap 2009-01 6th Jap re-issue, 2 CD exp. Agat Company LTD ? Rus 2001?